The first owner Toyosaku Yamazaki founded a small liquor shop Yamazaki Saketen in Shizuoka city. He was selling Sake and Miso to neighbors by a cart “Daihachi Guruma” - the origin of Vinos Yamazaki. started to help his father. but wonderful local Sake breweries in Shizuoka. 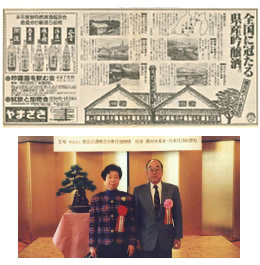 Yamazaki Saketen launched a campaign of local Sake in Shizuoka by using newspaper and magazine advertisement for over 7 years, as a pioneer of Jizake boom. Won “Minister of Agriculture, Forestry and Fisheries Prize” in National Retail Competition. Yuko Tanemoto (present President), the third generation and a daughter of Tastumi, joined in her family business. She started to import wines directly from oversea wineries. 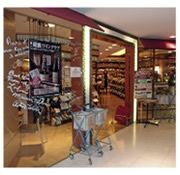 With the support of a lot of customers, Vinos Yamazaki opened its first shop in Tokyo in SEIBU SHIBUYA department store. A lot of unique tasting events, such as wine parties and seminars with wine makers, were planned to make people enjoy wines more easily. The first big wine festival “Kura no Saiten” was held around then. 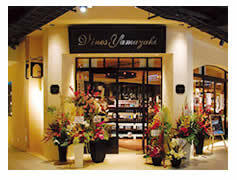 Yamazaki Co., Ltd. changed its name to “Vinos Yamazaki Co., Ltd”. 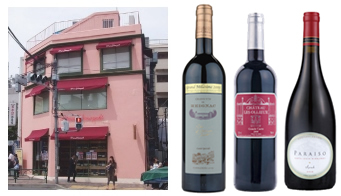 Vinos Yamazaki opened the first street level store in Hiroo. A lot of hit wines were released and have been supported by customers. The flag ship store, Yurakucho store, was opened. Jiyugaoka store, Numadu store were opened. Sapporo store, Nakameguro store were opened. Tama-Plaza store, Kyoto store were opened. 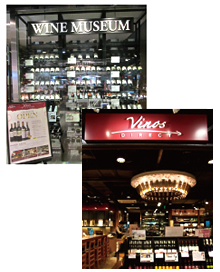 Vinos Yamazaki was changing from “Import Wine Shop” to “Creative Wine Shop”. A lot of big hit original wines were created by customers’ feedback. The 6th Wine Festival was held with 2,000 participants. Shin-Shizuoka Cenova store was opened. 4 stores (Kobe, Yokohama, Tokorozawa, and Shinagawa) were opened. he first oversea branch and store was opened in Shanghai. The 7th Wine Festival was held in ..cities. Coredo Muromachi store was opened. Lucua Ihre sotre was opened in Osaka. Lumine Kitasenju store was opened. Sapporo store was reopened, after relocated. The 8th Wine Festival was held in .. cities. Got Wine? Vinos Yamazaki store was opened in Sendai. Lumine Shinjuku store was opened. Parco-ya Ueno store was opened. Copyright(C) 2016 Vinos Yamazaki Co.Ltd. All Rights Reserved.